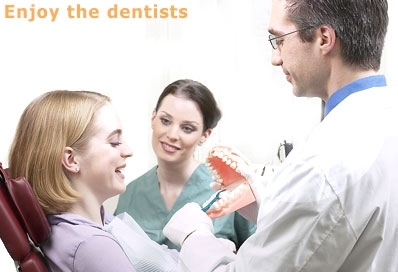 Dreading that visit to the dentist...is it putting you off that much that you don't go ? Well, in extreme cases that does actually happen. A simple check up or urgent treatment will be delayed, usually until it is too late. In the end you will have to go, so would you rather go kicking and screaming or in a calm, relaxed manner. So many people at least fear going for treatment to a certain degree, with this fear being learnt from some 'bad' experience in the past. For most people this experience was possibly the first visit as a child, with the treatment carried out quite 'frightening' and 'traumatic'. With this experience well lodged in the un-conscious mind (sometimes refered to as the sub-conscious) an automated response resulting in fear is associated with anything resembling the original ordeal. This is now installed in the brain as a program. But like all programs in a computer, the un-conscious response to this situation can be changed and 're-programmed'. Under Hypnosis, using age regression the traumatic experience can be re-lived with any outstanding emotions or thoughts resolved. Or through NLP, using visualisation it would viewed through adult eyes, with the experience and how it is viewed so very different.With these new experiences the un-conscious can learn and replace the old behaviour, resulting in trouble free visits to the dentist.